This window rubber is suitable for fitting either Perspex, glass or acrylic into boats, cars, vans etc. It allows for easy replacement of damaged windows. Remember to order the filler strip to hold it in place. To find your required size measure your glass and panel thickness and look up the closest size on the table. The rubber will seal approx -1mm (e.g. 4mm glass will seal in a 5mm gap). It is recommended to bed the rubber in with a silicone sealant. (Order code no S137 or S138). Gap A and gap B relate to the glass and panel thickness. (The rubber is universal so can be used either way round). The web is the thickness of rubber between gap A and B. This stipulates how much smaller your glass has to be in relation to the size of your aperture. BRIGHT is a leading manufacturer of high quality EPDM rubber gaskets, gasket seals, and custom EPDM products. Ideal for sealing environments that aren’t exposed to oils, gasoline, kerosene, or concentrated acids, EPDM rubber provides excellent resistance to ozone, sunlight, severe weather conditions, oxygen, acids, and aging. With outstanding color stability, odor-free characteristics, high heat resistance, and dielectric qualities, rubber gaskets can be used in a wide range of industries and applications. Although gaskets can be made from a variety of different materials, EPDM rubber gaskets are one of the most common types. Due to their sheer versatility, these gasket seals can be used in playgrounds, safety equipment, cold-room doors, medical devices, and keypads, in addition to being favored by the industrial and aerospace industries. Whether your project calls for a single prototype or large production runs, Trim-Lok is committed to providing you with EPDM gaskets that meet or exceed your expectations. Perhaps the most common application for EPDM rubber gaskets is weather stripping, particularly weather stripping vehicles. Due to its ability to resist the elements, very high temperatures, and very low temperatures, rubber gasket material is typically used to seal and lock windows, doors, and trunks of cars and trucks of all sizes. Please note: EPDM rubber gaskets have poor resistance to fuels and oils, and should not be used in such applications. 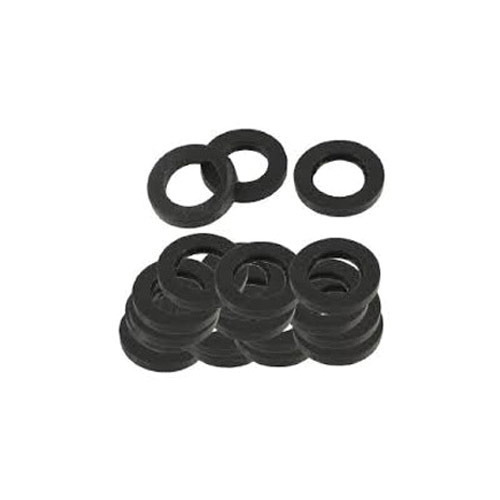 We are engaged in providing our esteemed customers with a comprehensive range of Rubber Gasket Seal. The seal we offer is manufactured under the supervision of experienced professionals as per industry norms and standards. Before final dispatch, a team of quality examiners stringently check this range on varied parameters of quality to ensure its flawlessness. In addition, clients can buy this seal from us in varied specifications in accordance with their convenience. We are manufacturing u channel t channel or any other channel rubber profile as per drawing, sample or customer specifications. We are manufacturing EPDM/SPONGE/CO-EX Rubbe Profile as per customer specifications. Looking for “RUBBER GASKET SEAL”?